In my previous post we highlighted the opportunity that an increasingly prosperous Africa presents for fast moving consumer goods companies (FMCGs). This opportunity is particularly big for the brewing industry. 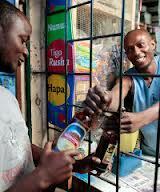 Africa’s beer market is already relatively large – estimated to be $11bn annually -and is growing rapidly. With a favourable confluence of economic and demographic factors the market could easily double within five years. Many international brewers are already present in Africa. With generous margins of between 20% – 25% and the continuing potential for economic expansion, most major brewers are targeting the continent for future revenue growth. An interesting graph from PSG Asset Management which shows how beer consumption is correlated to personal incomes [see right], confirms that this makes good business sense. Further, a combination of increasing populations and rising incomes per capita implies that beer consumption on the continent is set for an exponential rise. Small wonder then that the world’s largest brewers are investing heavily in Africa. 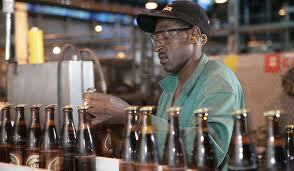 SAB Miller, the continent’s leading brewer, has invested up to $2bn over the last five years to build local capacity. Diageo has invested over $1bn in the same period. It now has 25% of its global workforce based in Africa and sells more Guinness in Nigeria than in any other country. Heineken has been equally active, particularly in its biggest market Nigeria, where its Lagos bottling plant (one of eight in the country) produces up to three million bottles and cans per day. Ethiopia represents the African opportunity in a microcosm. Its large population of 85m – the second largest on the continent – and economy are both growing rapidly. With that growth has come a corresponding increase in beer consumption. Yet until recently all brewing was in the state’s hands. As the rest of Africa succumbed to the forces of globalisation, the Ethiopian government embarked on a series of privatisations. Heineken picked up a pair of popular local breweries (and brands) for a little less than $160m and Diageo bought the number two brewery in the country for just $225m. That Diageo expect sales to double in the country within three years illustrates what a smart piece of business this was. Whilst they are global in their reach these companies realise the importance of ‘localisation’, that is sourcing supplies locally and tailoring products for local tastes. As part of its investment in Ethiopia, Diageo is working on a pilot with the national government and local farmers to source the barley required to brew its beers. This is part of a stated global strategy to overhaul its supply chain and source more inputs locally, something that is necessary as brewers increasingly derive their growth from emerging markets. It also keeps national governments on their side as these policies boost local economies. Indeed, SABMiller got an excise break from the Ugandan government after agreeing to source the ingredients for its sorghum-based beer (Eagle) locally, allow them in turn to offer a product catered to local tastes at a competitive price. They believe that this allows them to compete with the local home brew market which they estimate to be four times the size of the formal market by volume. Having local supply chains means that brewers are also insulated from P&L fluctuations that might result from having inputs and sales in different currencies. However it also introduces an additional cost (and an opportunity) which they already face in their distribution chains, that is the use of cash as a form of payment (as detailed in our white paper). With financial inclusion hovering around the 20% mark in most African markets and a nascent payments infrastructure, there has until recently been no realistic alternative to cash when dealing with small suppliers and merchants. However with the advent of mobile payments across many markets in the region, an opportunity has arisen to reduce the use of cash, eliminate inefficient processes and eek out an advantage in what is an increasingly competitive space. Unlike other markets in the developing world, many merchants and suppliers in Africa already have access to mobile wallets and have the capacity to make and receive payments in electronic currency. Also, integrating mobile to inventory systems allows brewers and merchants to manage their stock with increased efficiency, resulting in more timely orders and boosting sales. With many mobile money operators now allowing access to their payments systems via APIs, banks are beginning to connect to these platforms. This creates a unique opportunity for brewers (and FMCGs in general) to partner with their existing banks, mobile operators and mobile wallet providers to introduce mobile payments into both their supply and distribution systems. The resulting benefits can allow them to capture extra market share and assist them in the race to become the continent’s leading beer producer. This entry was posted in Mobile Payments and tagged Africa, Brewing, FMCGs, Mobile Payments. Bookmark the permalink.